New York, Chicago and St. Louis Railroad, a.k.a. 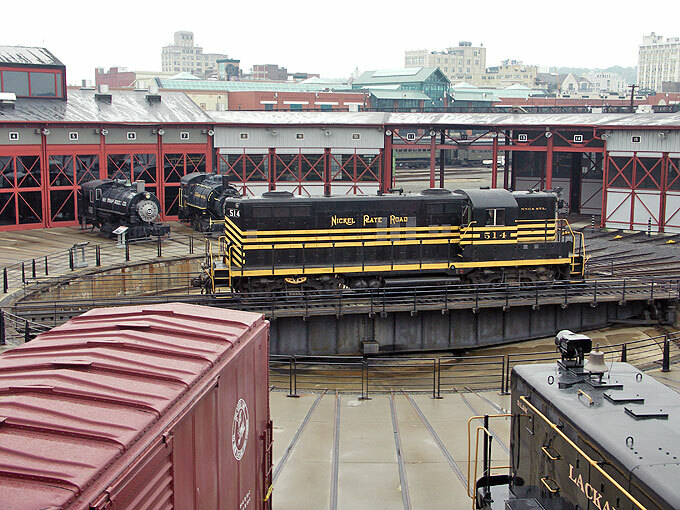 The Nickel Plate Road, number 514, a GP-9, sits on the turntable at Steamtown in Scranton, PA. This EMD built locomotive is operational as is the turntable.